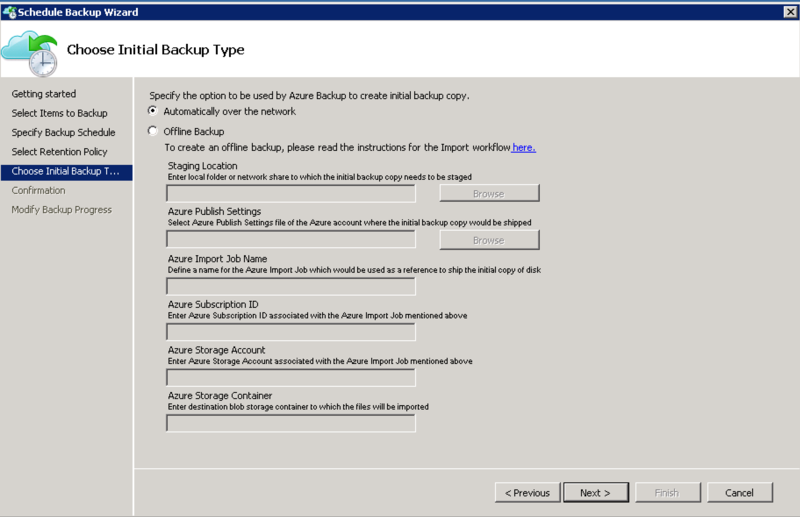 Why Backup File to Azure ? 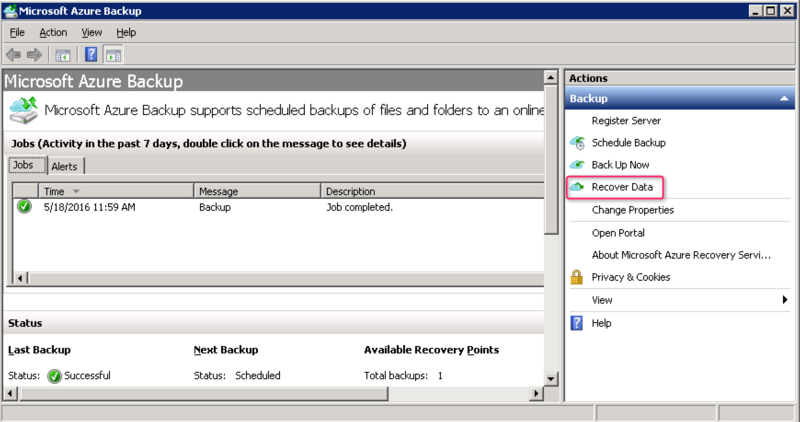 The backup is an important point that it is necessary to not to neglect. Backup outsourcing is a viable solution for a large number of business. Indeed, this allows to avoid material costs (server, tape drive, disk,…) but also the costs of training of backup as well as licensed software. More outsourcing to limit administration tasks. 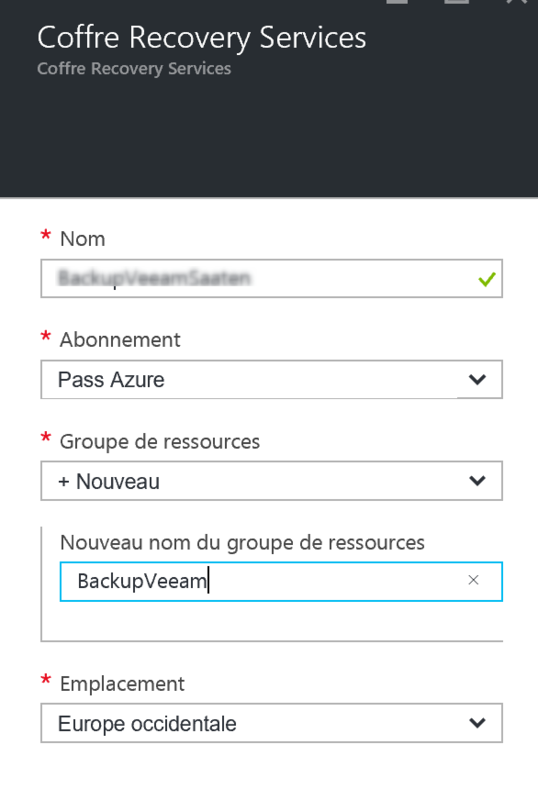 It is possible to undertake the externalize of backup in Microsoft Azure. It is necessary as a first step to create a source Azure. If you already have one, this can be ignored. 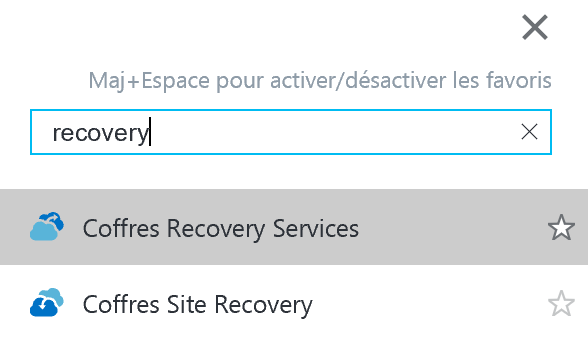 In the Azure portal, click Browse, and then in filter type Recovery. 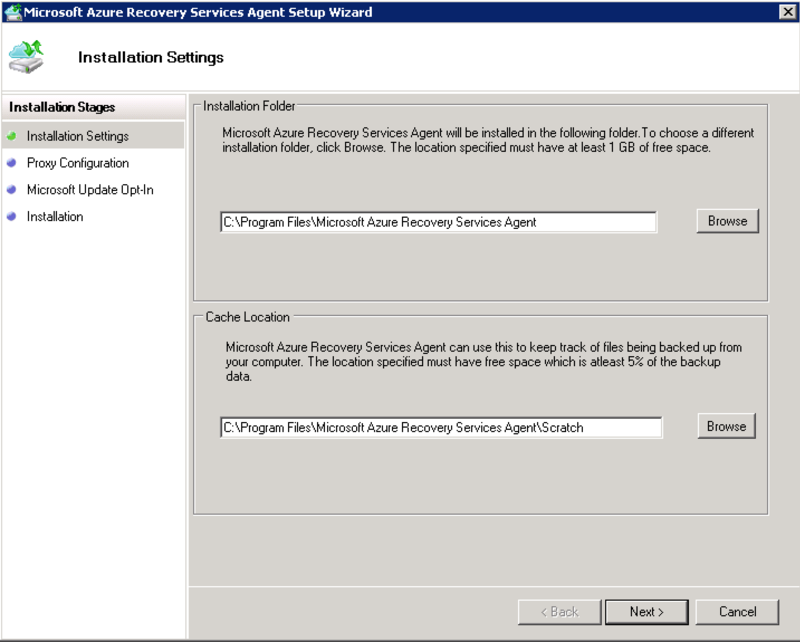 Click on Recovery Services Vaults and then configure the fields needed to create. Specify the name you want so that the resource groups. Finally enter the location. In the settings, click Save and backup target. Select the location of the resource and the type. After clicking OK, step 1 is validated. 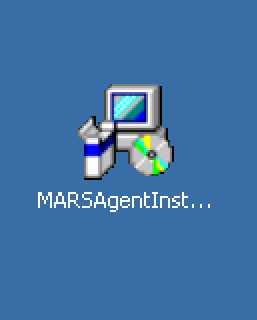 Click the Agent link to Server Windows or Windows client. Download the executable file. Do the same for the credentials. Attention! the credentials are valid two days. 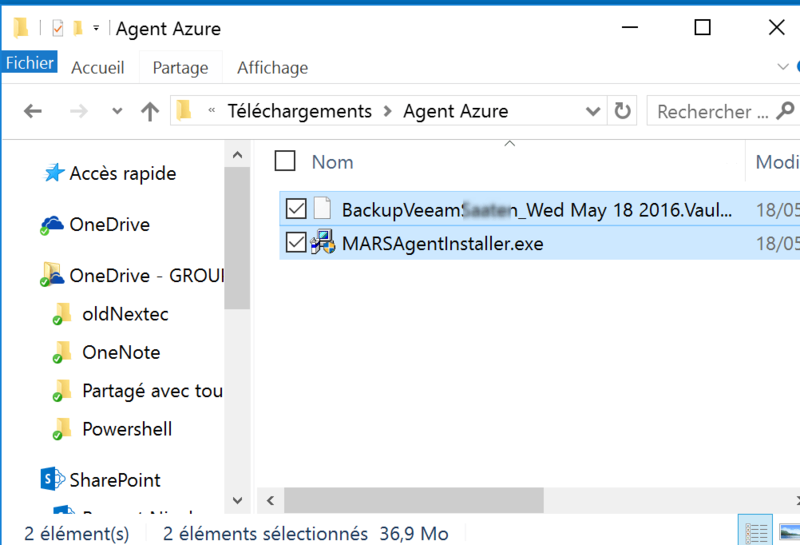 Now, you can install the agent on the server that needs to be backed up. Run the executable file previously downloaded. The framework v4.5 is necessary. 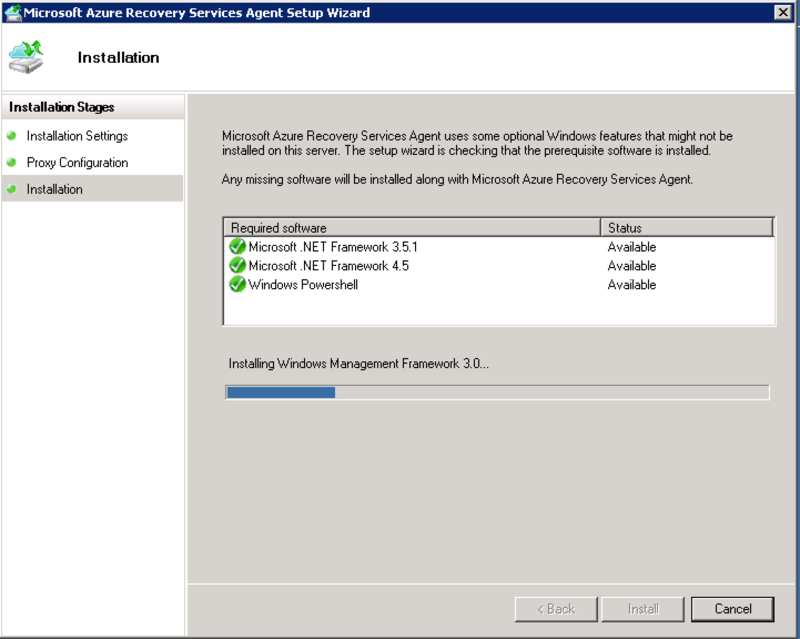 A Wizard starts, click next to validate installation and cache path. If a proxy is required for accessing the internet, it is necessary to fill in the necessary information (address, port, login and password). 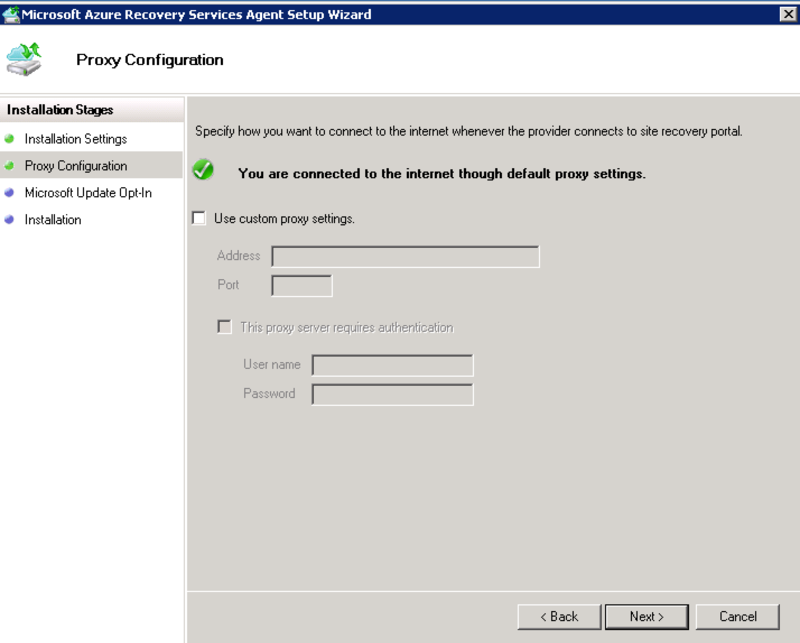 If no proxy is used, this step can be skipped. 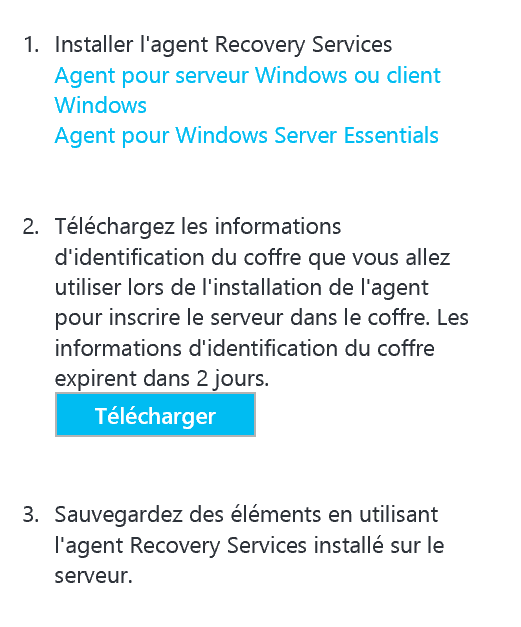 The agent will be updated through Windows Update, it is nevertheless possible to refuse to use Windows Update. This choice shall be effected from the wizard. If a component is missing, it will be installed. A new icon appears on the desktop or from the menu start. After starting the software, click Register Server. 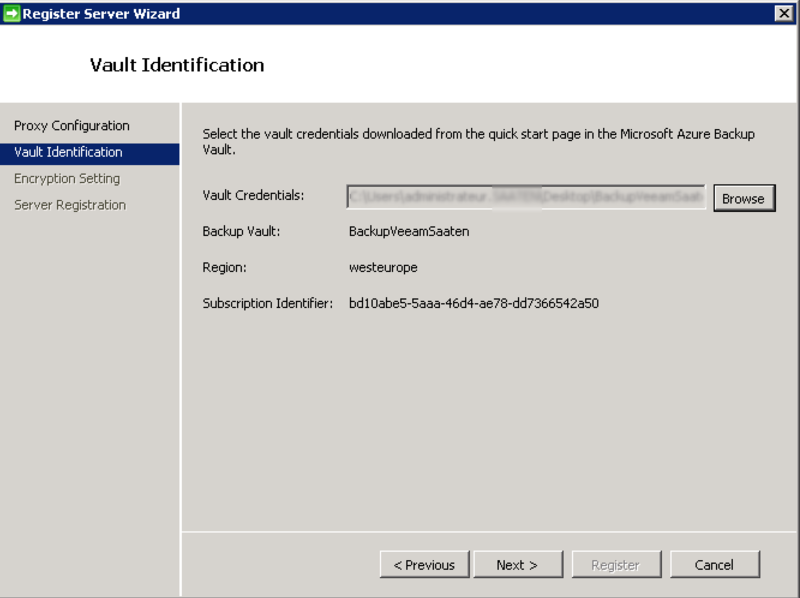 Using the Browse button, select the identification file previously downloaded from the interface Azure. 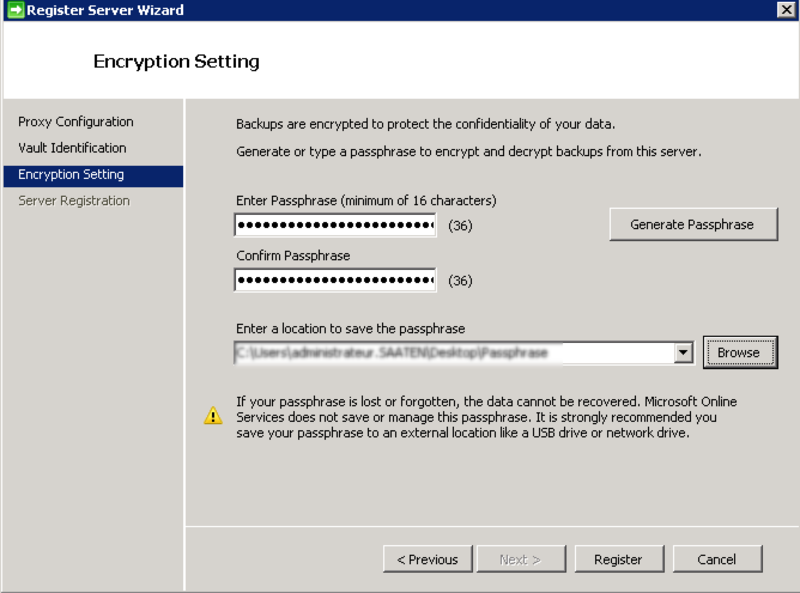 Generate a passphrase for encryption of backup and then specify a path or it can be stored. Click on Register to complete the operation. 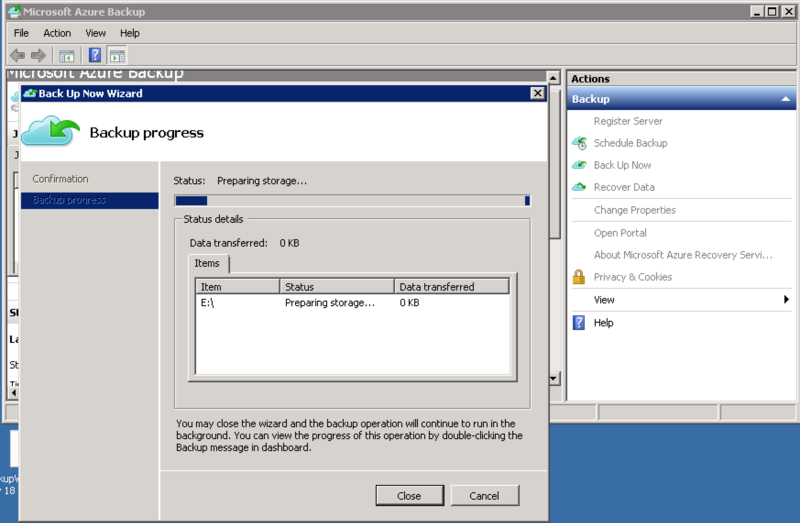 The backup can now be configured. 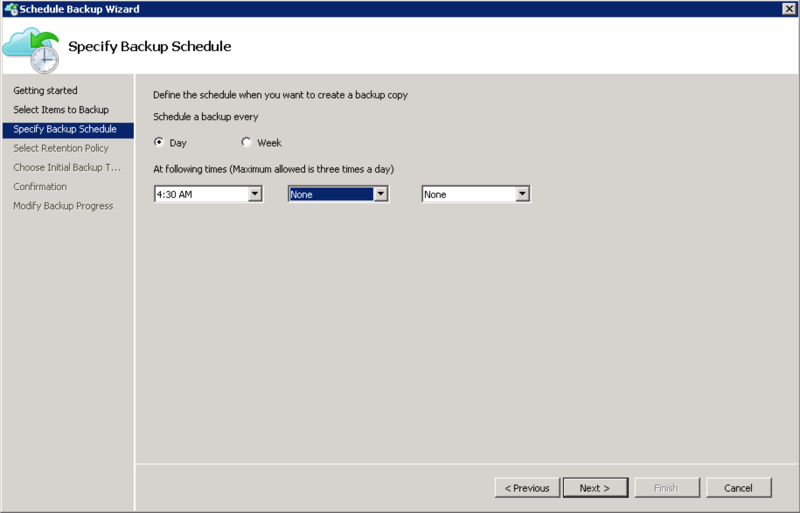 In the console, click schedule backup. Select the items that need to be backed up on the server with Add Items button. 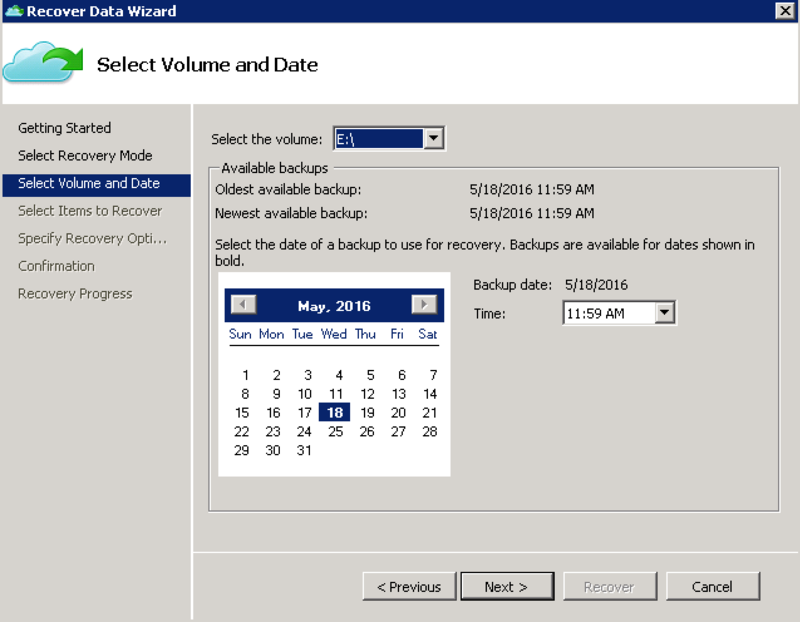 The backup can be scheduled three times per day maximum. Specify the desired retention and then click Next. 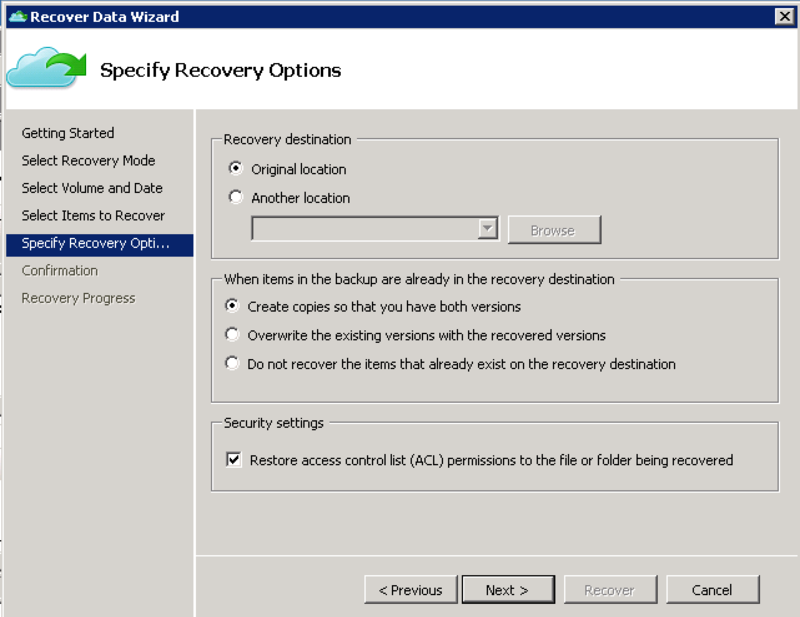 It is possible to operate an initial backup from the network or in Offline mode. Click Finish to proceed to the creation. 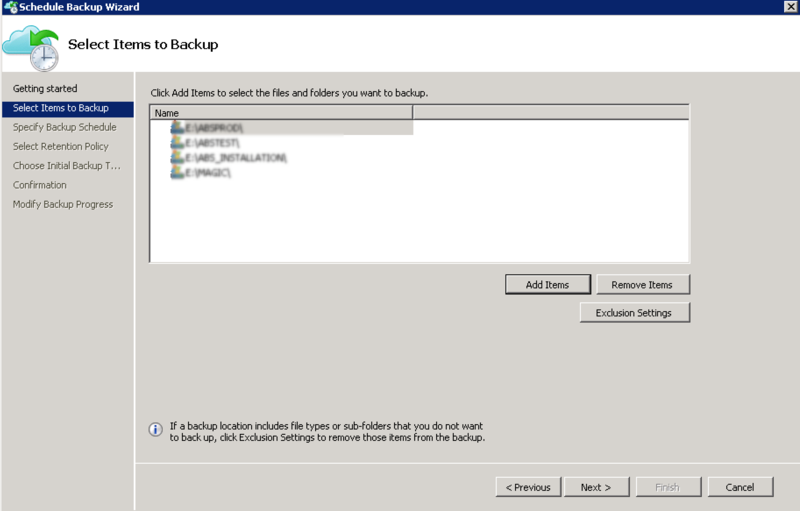 It is possible to launch the backup manually clicking on Backup now. 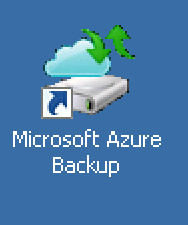 Once the backup is complete, click Close. 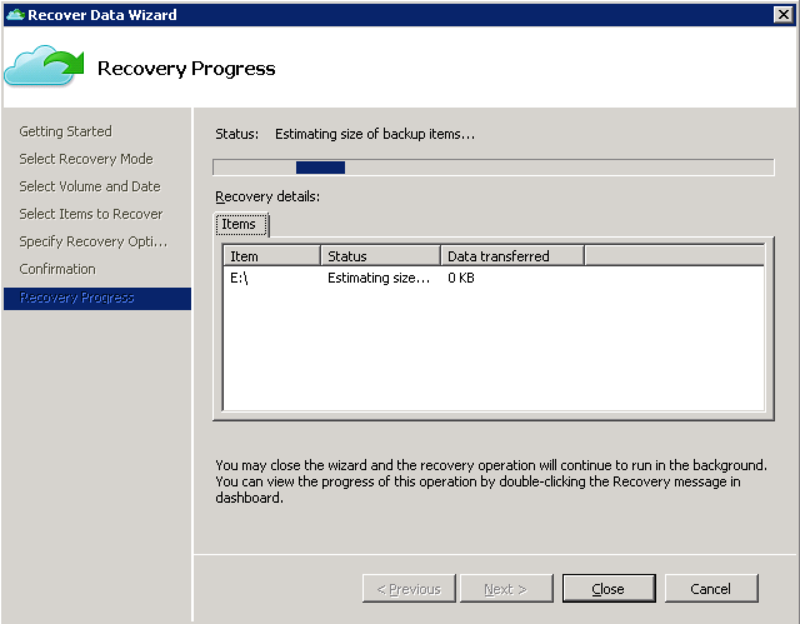 Once the backup is performed, it is possible to perform the restore. To do this, in the console, click Recover Data. Selected volume whereabouts data as well as the desired date. 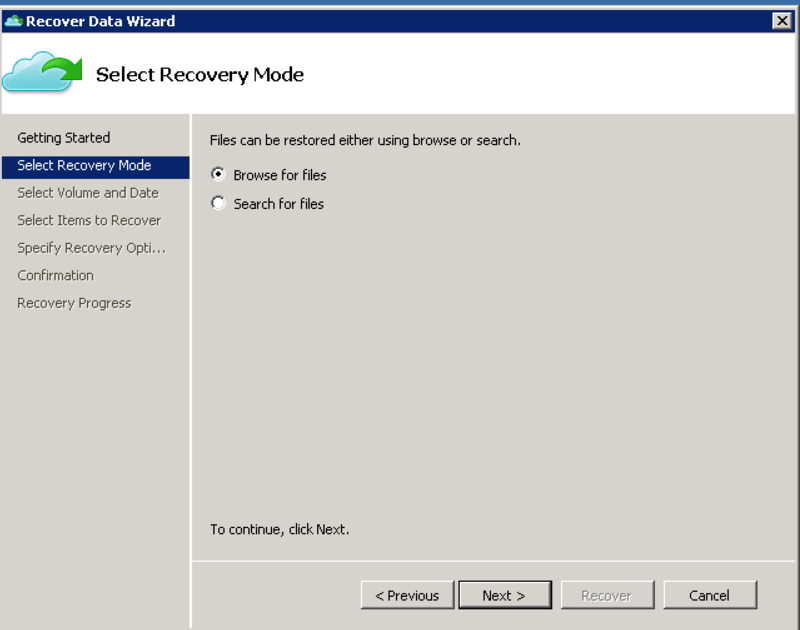 Select the file/folder to restore, and then click Next. 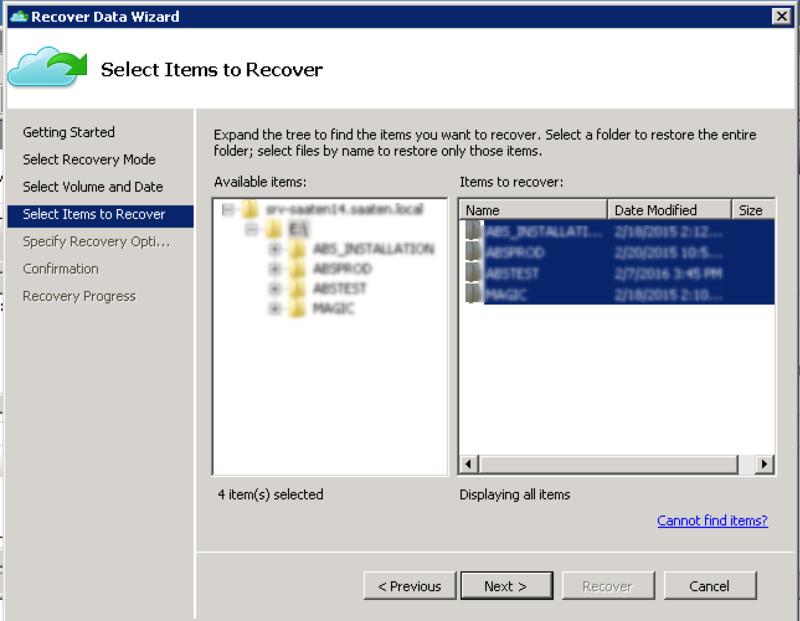 Click Recover to restore the data.